Living in apartments, the entire idea of aging beer or setting it aside for the future can seem a little infeasible. Space is one of the reasons: Living in relatively small square footage, where are you going to put and organize a large amount of aging beer? How are you going to maintain appropriate temperatures? There’s a lot working against you. Still, my “cellar” has slowly grown, a collection of rarities and high-alcohol brews that really ought to be aged a few years. There are bottles of Three Floyds Dark Lord Imperial Stout. There are a few rare sours. There’s a solitary bottle of Trappist Westvleteren 12, often proclaimed the world’s best beer, waiting for the appropriate time to be consumed. One thing all these beers have in common, is they’ll all be improved with age and patience. Here, then, is a beginner’s guide to how you can start aging and storing beer in your own modest way. For expert information, I turned to a friend with a much more extensive cellar, numbering more than 500 bottles that stretch back as far as 1995. I’ll try to cover all the obvious questions a beginner might ask about aging a few bottles of a special brew. Why would I age beer? We should tackle the most obvious question first. Beer is a perishable foodstuff, same as anything else. It won’t make one ill to drink “stale” beer, but it does degrade over time, and by and large, it is a beverage meant to be consumed fresh. Certain beer styles, however, may benefit from aging, becoming more intriguing or complex sensory experiences over time. In the current craft beer market, some breweries are even making product specifically meant to be aged and not consumed fresh—just look at Deschutes in Portland, Oregon. 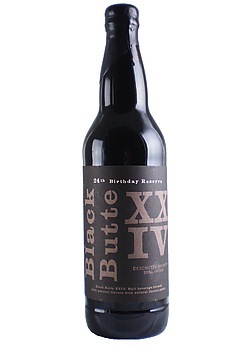 Their annual Black Butte Reserve Series release includes a printed “best after” date roughly a year after bottling, clearly instructing buyers to wait before they drink. Nobody is stopping you from drinking it now, but delayed gratification has become the name of the game for certain beers. What styles benefit from aging? The general rule of thumb is that high-alcohol beer styles are more appropriate for aging, with the possible exception of wild ales and sours. Alcohol is a natural preservative, and stronger beer is less affected in negative ways by the inexorable march of time. Instead, slow oxidation (because some oxygen always finds its way in) results in chemical changes that are generally seen as desirable. As for the specific styles that get better with age, think everything from strong imperial stouts to high-gravity Belgian ales (dubbels, triples, quads). With these kinds of brews, age is typically used to smooth out their flavors while bringing additional fruit notes into play. An imperial stout that is too boozy when fresh might have its unpleasant alcohol notes fade away after a year, yielding a more balanced experience. Hop-forward beers are typically meant to be consumed as soon as possible, owing to the delicate aromatic and flavor compounds that hops impart. In your average American pale ale or India pale ale, these compounds begin breaking down after only a few weeks, and certain flavor notes are lost. If you doubt it, try a year-old version of your favorite IPA sometime. They typically taste like that beer’s Bizarro World evil twin (sans goatee). However, this is only a general rule of thumb. Some beer collectors do enjoy aging certain hop-forward beers, typically those with high alcohol content such as barleywines and double/imperial IPAs. As these beers age, the hop presence fades, while the malt and fruit notes step forward. My friend with the extensive cellar agrees on this point, especially for barleywines, but it’s all a matter of taste. The experience of drinking a fresh barleywine and an aged one can be very different indeed, and the only way to know which you prefer is to try it for yourself. 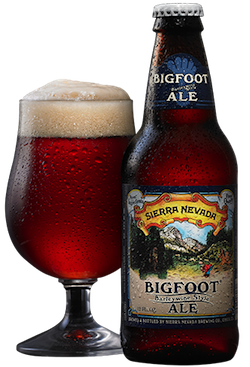 Annually produced beers are particularly helpful for this reason—you can line up a vertical tasting of Sierra Nevada Bigfoot Barleywine that stretches back for years in order to discover the true impact of aging over time. Where should beer be stored? All bottled beer has two main enemies, heat and light. Ultraviolet light induces a chemical change in beer over time that leads to “skunking,” and this can happen surprisingly fast. Therefore, all beer you are aging should be kept in a dark place, and especially kept away from any sources of ultraviolet light (such as sunlight). Likewise, higher heat accelerates a beer’s aging process. Ideally, aging beer should be kept around “cellar temperature,” generally accepted as 55-60 degrees, but I honestly don’t believe a few more degrees here or there causes much of a difference. As long as you keep it in a dark and relatively cool place, your precious bottles will be alright. Upright or on its side? Surprisingly, there is a fair amount of debate over how one should arrange the beers they are storing. Bottles with a typical “crown cap” on top should generally be stored standing upright, just as they would stand in your fridge. With the corked beers that are popular as 750 ml special releases, however, there are many (including my friend) who claim they should be stored on their side, the same as bottles of corked wine. The reason is the same as in wine, concern over whether a dried-out cork will taint the beer. Other sources, however, disagree. Many world-class brewers such as Chimay say all their beer should be aged standing up, and the official guide from Beer Advocate on the subject is in agreement. You can decide for yourself, but it is recommended to note which kind of cork is used in a 750 ml bottle to determine what its shelf life will be. When in doubt, I always personally recommend contacting the brewery, as most will be happy to make a recommendation on how their beer should be stored. It’s unlikely anyone knows more about it than they do. How do I know if something is worth storing? Quite simply, if it’s a new beer on the market, it’s impossible to know what that beer will be like in a year’s time. It’s exciting when you consider that you have the chance to experience new facets of the beer that not even the beer’s brewers know in advance. I believe this is squarely within the spirit of the craft beer ethos. One thing is for sure, though: Aging beer doesn’t magically change a bad one into a good one. Age things you already like, or beers you believe have the potential to improve if certain limiting factors (such as alcohol burn) are lessened. As my friend wrote to me, “You can’t make silk from a sow’s ear.” I’m not entirely sure what this means, but I think you’ll agree it’s a unique expression. One thing that can’t be denied is that it’s a pleasure to reach into the “cellar” to open a bottle that has been aged and saved for a rainy day. When the stars align and you follow these guidelines, it can make for a truly sublime experience that you and your friends will remember for a long time. And if you have these experiences often enough, I imagine that’s how you end up with 500 bottles in your cellar.